Bacardi is one of the most successful, popular rum brands in the world. It’s got at least 25 variations (if we’re including pre-mixed cocktails), some more questionable than others. And whether you’re buying in the backwoods or city central, you’ll probably be able to find it anywhere you go. So, yeah, we must all know plenty about the stuff, right? Not even the tip of the iceberg, as it turns out. We know how to drink it, sure. But what’s in the Bacardi bottle actually represents more history—and, like, ridiculous amounts (and varieties) of tribulation—than any of us might expect. Disease. War. Plate tectonics. Castro. The list actually goes on. So before you pour that next shot or shake up another Hemingway Daiquiri, drink in a couple factoids about the prolific rum brand you never really knew. The Bacardi label is lying. Bacardi labels read “Puerto Rican Rum,” but Bacardi was founded in Cuba, and only ended up in Puerto Rico because of communism. But we’ll get to that. You have Spanish colonialism to thank for Bacardi. In part, at least. Spain had set up an outpost in Santiago de Cuba in the early 19th Century. And one Catalonian family decided to try to make its fortune there. Specifically, Facundo Bacardi Masso, youngest of four sons of a Catalonian stonemason. Masso emigrated to Cuba in 1830 and set up shop. Over the years he became known as “Don Facundo,” owing to his serious, Don-like manner. We have Bacardi’s wife to thank for Bacardi. An earthquake almost destroyed Bacardi before it began. In the summer of 1852, earthquakes hit Santiago de Cuba, at least one of which averaged 6 on the Richter scale. The city was nearly destroyed, along with it the aspirations of Bacardi. Cholera almost destroyed Bacardi before it began. The Caribbean experienced waves of cholera pandemics in the 19th Century, and Cuba was among the suffering countries. One such wave, which lasted from 1850 to 1856 and took two of their children, gave the Bacardi family yet more incentive to leave Cuba. Speaking of, the Bacardi family left Cuba. Not permanently, clearly, but after the earthquake and cholera outbreaks, Facundo thought it wise to return home to Catalonia for a time. They returned after a few years, at which point Facundo started toying with distillation. Before Bacardi, rum was pretty rough stuff. Which shouldn’t surprise, since it was basically developed as a “trash” product—in the sense that 17th Century sugar producers were beset with the problem of leftover molasses. In fact, they used to dump it in the ocean (no doubt confusing a hell of a lot of fish) before somebody figured out how to ferment it. Facundo Bacardi wasn’t originally a distiller by trade. A businessman looking for a hook, Bacardi and partner José León Boutellier toyed around with the process of rum distillation, incorporating the use of new white oak for aging, charcoal filtering (which Jack Daniels does, too), and a proprietary yeast strain that Bacardi uses to this day. 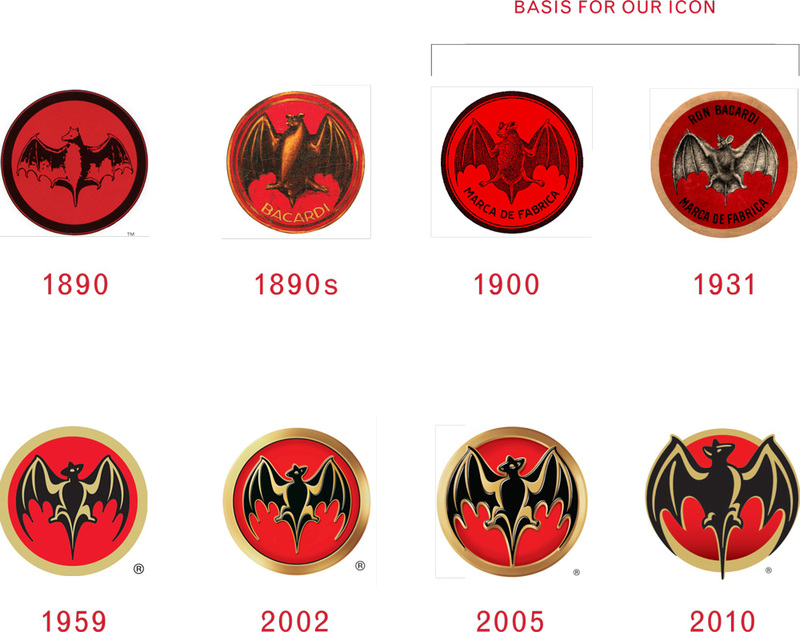 Bruce Wayne and Bacardi have something essential in common. They both use the bat as a central symbol. For Wayne, it means protecting Gotham. For the Bacardi family, the fruit bats living in the rafters of their first distillery were a sign of good luck. There’s been a bat on the bottle ever since. Not that Bacardis weren’t fighters. Castro overthrew Batista in 1959 and his regime seized all of the Bacardi family’s assets and estate, forcing the family out of the country they’d lived in for generations. Bacardi was once the world’s best selling rum, but it was overtaken by McDowell’s (which, alas, has nothing to do with the fast food chain from Coming to America). McDowell’s is an Indian rum. But Bacardi is apparently coming back strong with a marketing campaign.